"places time forgot". 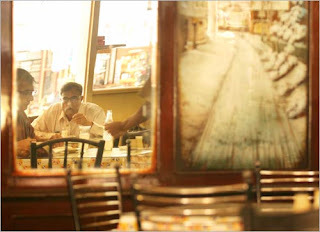 . .
"Mumbai's Irani cafes", says photojournalist JEWELLA C. MIRANDA, "... are the places time forgot. Little pockets of nostalgia dotting unlikely corners of the city, swathed in sepia, staring out as the world outside moves just a little faster every year". 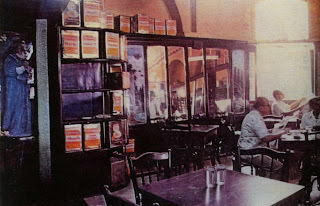 Kyani is now 103 years old; we are supposed to be the oldest Irani cafe still operating. My name is Aflatoon Khodadad Shokriye. Khodadad is my fathers name, Shokriye is our family name. Aflatoon Khodadad Shokriye. I came to Bombay from the city of Yazd in Iran in 1948. My father was here, he sent me a visa, student visa to study here. At that time I was 18 years old. The trip was during monsoon, up to Quetta it was OK- we went from Yazd to Kerman, Kerman to Zahedan, Zahedan to Quetta. From Quetta again we came to Karachi, from Karachi we came by steamer to Mumbai. I was along with some three, four people from Yazd. One was aged like my father, and he was our neighbour in Yazd, his son was there and another fellow was there of my age. It was a journey I will never forget. Ever. More tham one week of travelling. So it was monsoon, and in Bombay it was raining, and raining, so many things which I was not used to! Day and night it was raining. That is why I was repenting! And the food! Indian food it is, what you call, hot food. But in our own restaurants we used to make the Iranian type of food. 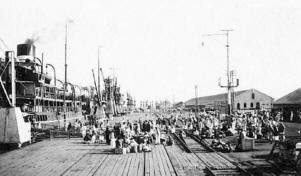 When I arrived in Bombay I was repenting why I came - the Britishers had left and even at that time the hygienic conditions were not good. I thought Iran was better. I was new, I did not know language, no friends and all so I did not like it. Slowly, slowly I changed. The local people were friendly, good people. When they knew that I did not know the language, they used to talk more to me, and I picked up the language. My father was here at Kyani, my son is the third generation that are running this restaurant, so this is a kind of family restaurant, established 1904 by my father Khodadad and his brother Khodamorad. Here then it was all Iranis working here. It was an institution, like Iranis, what you call it, it was like a training college! 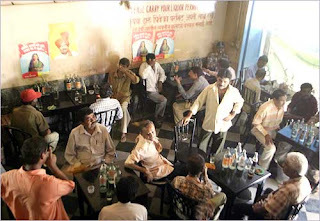 ;they used to come and learn business, how to prepare, how to do business, and other things, and they used to go and make partnership with others and start their own business, set up their own Irani café. 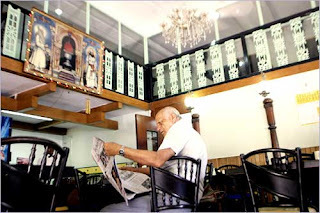 In 1948 in Dhobi Talao Parsis were everywhere, Parsis and Christians. But, uh, slowly, slowly Parsis have migrated out of India, many of them died, many of them they did not get married, the population came down. 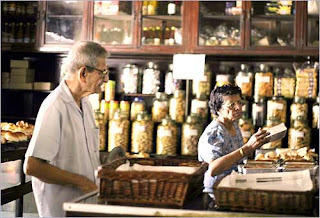 My father told me that the Iranis when they came here, they were working in the Parsi's houses, they were employed and worked in there, and uh, in the morning they used to meet, they would gather and discuss about life and things, so one fellow started preparing tea for the rest, but he used to charge them. So the idea of making tea came to the mind of the Iranis, so they started this tea business and all. By 1948, when I arrived, at every junction almost there was an Irani. They all selected those junctions, those street corners. Because the junctions are one, two, three sides of the road. Anything that was available they used to take. Today our customers are a cosmopolitan mix - all types of people. Formerly it was mainly Christians and Parsis, the majority. But now, it is cosmopolitan. You cannot stop anybody entering your restaurant. It is a rule of the government, law. In those days you see, the customer was a different type of culture. Tie, coat and all. Hindus of high standard also used to come here. But majority were Parsis and Christians. In years past Bombay was very safe and we used stop sometimes at 12 o’clock (midnight), but slowly, slowly we have reduced. Because at night people are in a different category in Bombay, they are different. People sometimes make trouble at night. So now we are closing it at 9 o’clock. I think our regulars appreciate that we have stayed open, offering this type of service- we get people coming who were our customers some ten years back, fifteen years back, they have gone to America, or UK, Canada, then ten years later they come to Kyani, and they are so happy to see us, that we have maintained the same type of restaurant. I tell you, one year I went to America - there was a gathering - all Parsis, Iranis, and as soon as they saw me they said “ohh, Kyani, he has come from Kyani in Bombay”. I couldn’t believe it. Incredible how many people remembered Kyani. Changes? 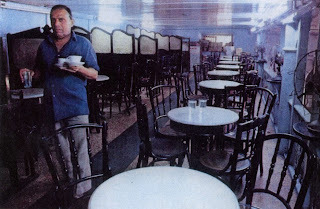 In about 1952 an Irani had a café, and this man used to put kus-kus (poppy) in the tea. And believe it or not, the taxiwallahs who were running the taxi, they used to go there and take their tea always, otherwise they were not happy with their tea. Then one by one, all the cafes started kus-kus tea, we had it here at Kyani, finally the Municipality came to know about it and they stopped it. It is prohibited. The Municipality will take your license and you have to go behind the bar if you tried that now. When Britishers were here, they were foreigners, we Iranis were also foreigners, we got friendly treatment when we went to the government departments; they knew that we were new here, we were also foreigners, so they said “you have to stop putting that in the tea”, and we did. 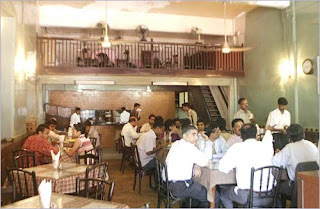 In the past, people from offices, from Fountain, from Colaba, they used to come to Dhobi Talao, because there were two big shops selling confectionary – Bastani and Kyani - across the road from each other. Now there is only Kyani, so they go wherever they like to buy their requirements. Bastani closing has affected our business, you see. The nature of the business at Bastani was the same as Kyani. When it was there it was better. The movement of the people is now restricted. 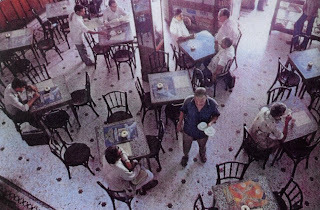 When Bastani was still there lots of people used to come from outside – they would maybe buy their sweets at one place, and just walk across the road and have their tea at the other. 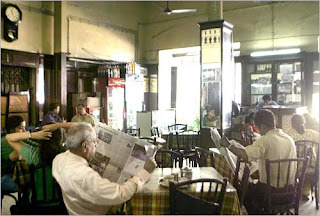 Kyani is now 103 years old, we are supposed to be the oldest Irani café still operating. We had to make my sons Farookh and Farad partners in the business; I am old now, any moment I may leave to go. 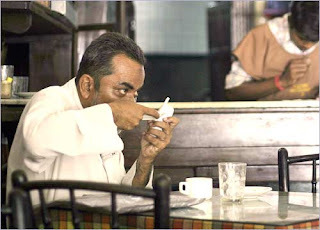 FROM an interview with Aflatoon Shokriye, Dhobi Talao, Mumbai, April 2007.